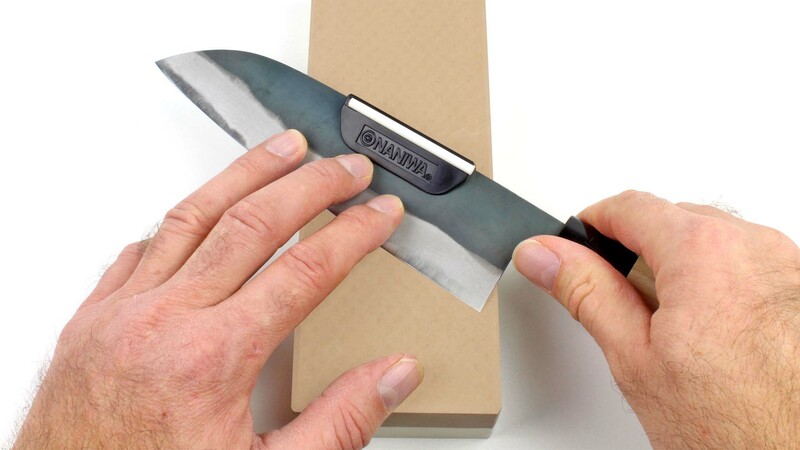 If you are accustomed to sharpening knives you will be aware how difficult it is to maintain an existing or achieve a desired sharpening angle. 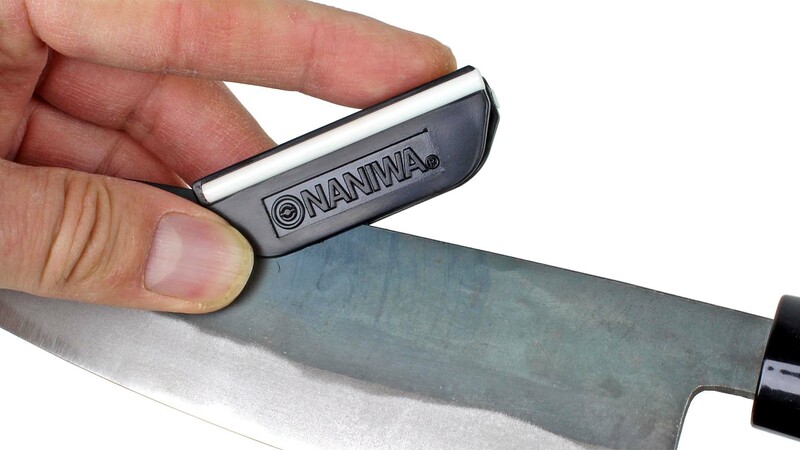 This small sharpening guide from NANIWA is simply clipped onto the back of the knife. In this way you obtain the ideal sharpening angle which you can maintain for repeated sharpening sessions. Made of plastic, it has two ceramic rods inserted either side that are in direct contact with the grindstone during sharpening. 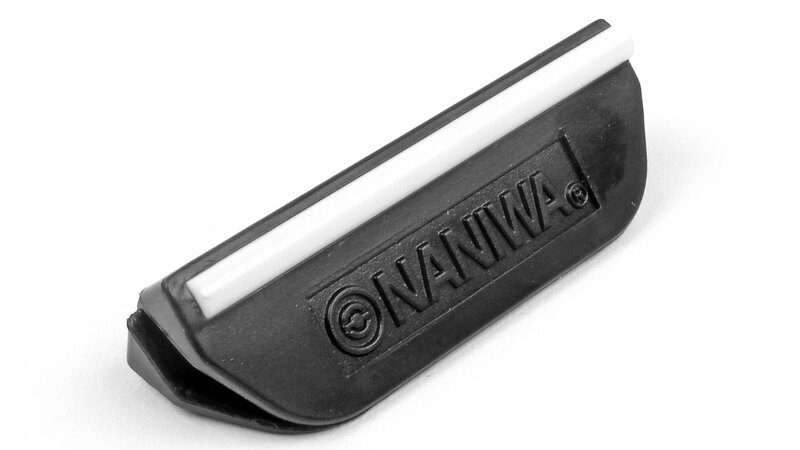 Make sure that the back of the knife blade touches the base of the clip; this ensures that the knife is held securely and that you will always work at the same sharpening angle. With the sharpening guide clipped on, move the knife to and fro over the grindstone. Avoid stiff forward and backward movements; instead turn the knife slightly to either side in small circular movements, akin to sweeping something into a dustpan with a brush. For sharpening the front end of the blade all the way to its point you will need to lift the sharpening guide slightly on one side. Alternatively you press down the point of the knife slightly with two fingers; this will raise the sharpening guide on one side. After one side is finished turn the knife plus sharpening guide over and repeat for the other side. If you change to a stone with a finer grit size you will need to repeat the whole process. Rinse the clip thoroughly after use to avoid scratching the blade of the next knife you want to sharpen. What is the sharpening angle that I can obtain with this sharpening guide? The angle cannot be adjusted and depends on the width of the blade. For a Santoku with a blade width of approx. 45 mm it is approx. 12°, for knives with narrower blades of say 30 mm it is approx. 17°.